Patmos is ideal for conferences, and all kinds of events because of its natural beauty and historical and cultural heritage combined with its infrastructures. We guarantee the triangle of success for each event. 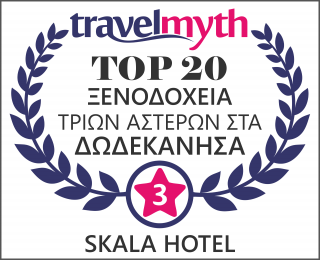 The Skala Hotel is the best choice to make your conference or your social event such as your marriage or the baptism of your child, the hotel has excellent infrastructure and services. 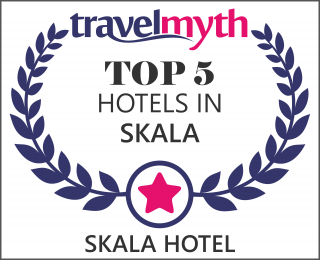 Skala Hotel has the potential beyond the organization to take over and stay of your guests as it is a central point of the island.With emphasis on impeccable service your guests will appreciate the professionalism and hospitality that Skala Hotel will offer them. Our conference area, measuring 300 square meters, has a high performance air conditioning and it has a wonderful view of the hotel's garden.